Lower mobilisation costs and a high return on investment. 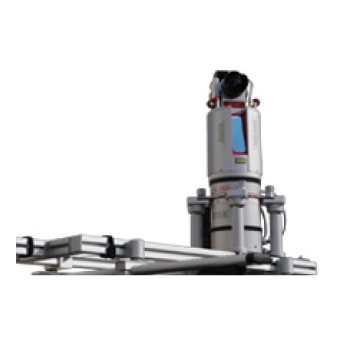 The new, fully integrated, accurate, and compact RIEGL VMZ Hybrid Mobile Laser Mapping System enables combined static and kinematic data acquisition using a single RIEGL VZ-400, VZ-1000 or VZ-2000 laser scanner – resulting in lower mobilisation costs and a high return on investment. Flexible setup, easy mounting, and a user-friendly workflow mobilise your RIEGL 3D Terrestrial Laser Scanner for applications like mapping of transportation infrastructure, city modeling, mine surveying, bulk measurements, etc.